26 Jan Wedding Season is Coming Sooner than You Think! The wedding season is almost here. Undoubtedly it will bring you smiles, beauty, memories, and laughter. You are perhaps in between planning and preparations of your wedding and must have chosen your caterer, venue, musicians, florists, and photographers. But your wedding celebrations are incomplete if you do not add a touch of sparklers to it. Sparklers and shine are trending this wedding season. Right from the escorting card to the grand exists, there are many ways you can use sparklers at your wedding to make your special occasion extravaganza. But first, let’s take a look at what wedding sparklers are and how they are different from other sparklers. What are the wedding sparklers? Wedding sparklers are just like other sparklers, but these sparklers are for wedding occasions especially. Their thickness and the burning time are also different from other sparklers. They came in beautiful packaging than the traditional sparklers. Wedding sparklers are of a different kind. Some of the best wedding sparklers, their uses and ways to decorate are discussed here. Let’s have a look upon them. The 36-inch gold wedding sparklers are the brightest and long lasting sparklers in the market. Each sparkler burns for 4 minutes and makes your wedding reception entrance elegant. These 36 sparklers are smoke-free sparklers, and they are of high quality. You must consider these gold sparklers for making your grand entrance extravaganza. Do not get fooled of other 36 inch wedding sparklers that do not last long for more than 2 minutes. 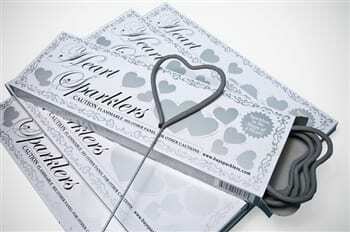 For availing the highest quality of 36 inch wedding sparklers visit www.buysparklers.com. These 36 inch wedding sparklers are twice than the 20 inch sparklers. 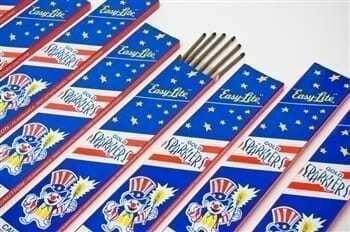 The length of the 36 inch sparklers is twice thick as compared to 14 inch or 20 inch sparklers. 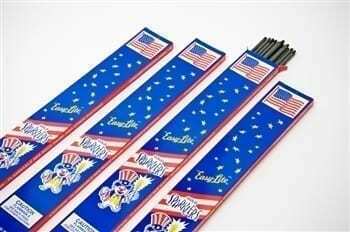 It means that the 36 inch sparklers are twice long-lasting than other sparklers. The sparkling time of 36 inch wedding sparklers is of 4 continuous minutes. The 36 inch wedding sparklers are steel wire and smokeless that are good and perfect for creating extreme wow in your wedding photographs. 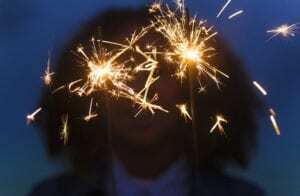 But it is recommended to use 36 inch wedding sparklers only during the night wedding ceremonies. How to use 36 Inch Wedding Sparklers at your wedding? You can use this bulk wedding sparkler in many ways depending upon the location. But to make your special occasion extravaganza, we have put three great ways to use 36 inch wedding sparklers. Let’s have a look upon them. The 36 inch wedding sparklers are best to use on the wedding exit and send-off lines. The extra thick design and the extending sparkling time, 36 inch wedding sparklers are one of the most long-lasting sparklers that you can purchase. Also, their long length makes it easy for your guests to hold them right above your head for safety measures. Take a large vase and wrapped it with a beautiful and elegant ribbon. Then put the 36 inch wedding sparklers inside the vase. The big vase would allow your sparklers to be accessed quickly. It would be the perfect and elegant way to distribute the sparklers among guests. Also, place the vase in the guestbook table so that each guest would access it easily. Another great way to use 36 inch wedding sparklers is waving them in the air to create a beautiful backdrop scene in your wedding photos. Do consider this backdrop effect especially when Father asks the groom to kiss his wife. The sparklers look great in the background so go for it. Heart shaped Sparklers are one of the most romantic wedding sparklers. The gold heart shaped sparklers are a great addition to celebrate your love and union with your partner. The best way to avail this offer is to buy them in wholesale from www.buysparklers.com. In this way, you can save a lot of your money. Also, the material is of high quality. How to light up gold heart shaped sparklers at the wedding? The gold heart shaped sparklers burn smokeless in the bright gold color. These wedding sparklers are of 11 inches in length and 3.6 inches in width. To create a magical moment, the burning time of these heart shaped sparklers is for 1.5 minutes. Just light the sparkler gently in the center of the heart. When you lit these sparklers, they burn from both sides of the heart which means that the sparkle that emits from these sparklers gets double from the regular sparkler. How to use Gold Heart Shaped Sparklers on wedding season? You can use the gold heart shaped sparklers in many creative and exciting ways. For example, you can use these sparklers during the bride and groom grand entrance and exit. These sparklers produce a stunning effect on the wedding pictures. Use these sparklers on cocktail tables and create a centerpiece that beautifully sits on the dining tables. Also, you can put these sparklers in sand-filled vases t. Do not forget to tag the vase with thanking the guests for sharing the sparkling day with you. The 20 inch wedding sparklers are best to create glowing effect when bride and groom take their leave from the ceremony. If your wedding is small or middle-sized, then these wedding sparklers are best for your wedding occasion. These sparklers light brilliantly with the gold spark. These sparkles are in 20 inches of length. The burning time of these sparklers is 2 minutes. How to light 20 inch gold wedding sparklers? Light the 20 inch wedding sparklers with a barbecue lighter. Ask your guests to dip them until sparklers lit and quickly pass them to the other guests. 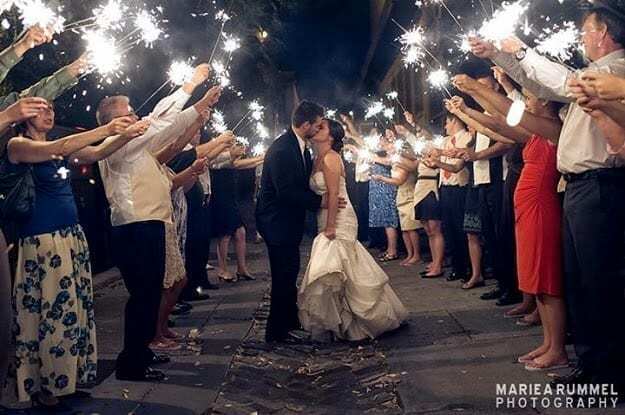 It is recommended to give two sparklers to each guest to take the best shots of your wedding photos. A great advice is to buy these sparklers from www.buysparklers.com to avail the best quality and the best price.